New Clients try our 3 Class Trial only $42! 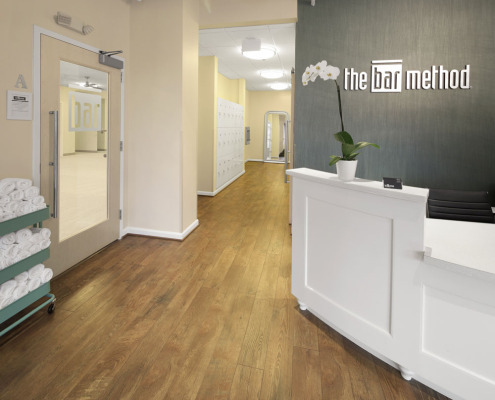 The Bar Method Tysons Corner is a boutique fitness studio offering barre classes for students of all levels. The signature method uses your own body weight, the ballet barre and a few props to create a transformative workout that results in long, lean sculpted muscles. Not only does it reshape your entire body, but it allows you to channel your inner strength and leave class feeling strong, confident and poised. Highly-trained instructors customize the exercises to ensure they are safe and effective for any age and every body, including modifications for pregnant women and students with injuries. Our staff and community are here to support you from the moment you walk through the door. 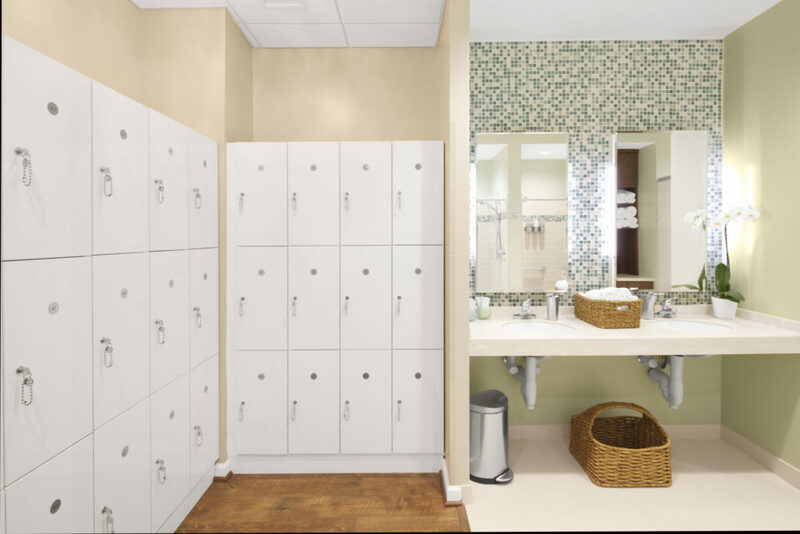 The Bar Method Tysons Corner is a spa-inspired, high-end studio that includes two light filled workout studios, a full size locker room, two showers, amenities, Kids Room and ample free parking. We are conveniently located in Tysons Corner on Chain Bridge Road right off of Route 7. Shelley Keyes, has always had an interest in physical movement and helping others. Shelley was an avid athlete growing up, including 14 years of dance. She discovered The Bar Method in 2010 while living in Seattle, taking her first class at The Bar Method Redmond. She has been dedicated to The Bar Method ever since and in the summer of 2014, she turned that dream and passion into The Bar Method Tysons Corner studio! While walk-ins are welcome, class sizes are limited and can be sold out. We highly recommend reserving classes online or through The Bar Method app in order to guarantee your spot in class. Reservations can be made up to 14 days in advance. 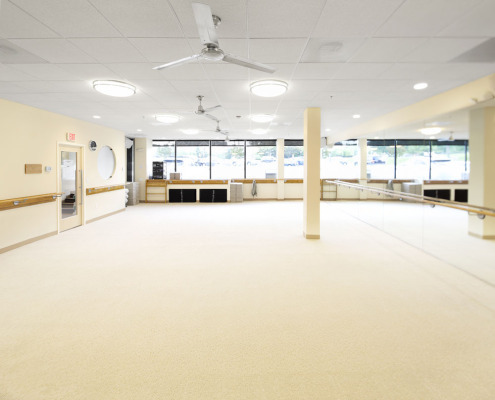 Classes fill up quickly, but spaces will open up as clients reschedule. If you’d like to attend a class that is full, please add your name to the waitlist. When other clients cancel, you will be notified via email if you are put into the class. If you have opted-out of our email list, you will not receive these emails. If you are on the waitlist assume that you will be added to the class. If you get into class and do not cancel your class or do not attend, our standard cancellation policy will apply. Please cancel yourself off of the waitlist if you do not think you will have adequate time to respond to being bumped into class, this will allow for another person on the waitlist behind you to get into class. If you put yourself on more than one waitlist for the same day, this may result in multiple charges. Note: If you are already enrolled in a class, our reservation system will NOT add you to another class. If you were on multiple waitlists for one day, you may be deleted from the other waitlists since the system will not put you into two classes on one day. There are several ways for you to see if you have moved from a waitlist and into class: Check to see if you are in a class by logging into your class schedule. If you are in class it will read (From Wait List-Unconfirmed). This means you ARE in class and responsible for showing up or cancelling your spot. We will “confirm” you when you show up for class. Or look for an email notification saying you have been added from the waitlist. You must cancel your class reservation prior to two(2) hours before the start of class to avoid a late fee. You will be charged $10 if you cancel within two(2) hours before class and $25 if you are a no-show. First-time students should arrive 15 minutes prior to the beginning of class. First-time students may not enter a class after it has commenced. Returning students may enter up to 10 minutes after class has started for Level 1, Mixed, Level 2 and Bar Move. Bar Express students will not be allowed in after 5 minutes after the start of class. If you are late, and someone is waiting to get into class, your spot may be given away. Please reframe from talking during class so that everyone can hear the instructor. Please do not attend class if you are sick with a cold or flu. If you are pregnant, please bring us a note from your doctor specifically giving you permission to take Bar Method classes while pregnant. In addition, first-time students who are pregnant must begin taking classes within the first 12 weeks of their pregnancy or have a minimum of 1 month of prior Bar Method experience in order to be allowed to participate in class. Please call the studio in advance to arrange a meeting with an instructor to go over pregnancy modifications prior to taking your first class. Please be sure to disclose all injuries or medical conditions on your new client intake form, as well as, inform all teachers in advance of class if there is anything acute that may require special attention or a possible modification. Be sure to have clearance from your doctor to take Bar Method post-injury. We may require a Dr’s note permitting you to take class post injury. We reserve the right to not have you take class if we think your injury may be irritated by taking class. Bring your kids with you to class! Check the class schedule for days and times that our Kids Room is available! Please be sure to read and complete our Kids Room Policy Form before bringing your child to the studio for the first time. Below are a few friendly reminders. Club Bar Members receive 10% OFF of Kids Room purchases. Call the studio to get the discount code. Kids Room is for children ages: Infant to 1o years old. If your child is 11 or older, they are welcome to sit in our lobby during class with prior approval from our staff. All reservations can be made online on our website. You cannot book through the app. Please follow the instructions on our Kids Room Policy form when creating your child’s profile. Drop Off / Pick Up – Children may arrive up to 10 minutes prior to class and picked up no later than 5 minutes after class ends. Upset Children – We will make every effort to make your baby/child comfortable. If your child cries continuously for more than 10 minutes we may call you out of class and ask you to take the child out of Kids Room. Personal Items – We encourage you to bring any special comfort toys (blankies or pacifiers) that your child or baby may need during their stay. Please do not bring any kind of play or electronic toy (iPads, iPods, legos, etc.). Diaper Changes – Leave your baby/child with a fresh diaper prior to dropping them off. If your child needs a diaper change during their stay, you will be called out of class to provide the diaper change. Potty Training/Bathroom Use – Please note on the signature page if your child is potty trained. Help us by taking them to the bathroom prior to the start of class. Attire – Children must be fully dressed and wear socks in the studio. Food & Drink – Food is not allowed in the Kids Room studio. Please be sure that your child is properly fed before they come into Kids Room. Water is allowed in a closed top bottle and formula/milk is allowed in a bottle. No other drinks are permitted in the studio. Please be respectful when leaving or returning to class. Club Bar members are given two free freezes per active 6 months. Freezes are a minimum of 15 days and maximum of 45. To freeze your account you must send an email to the studio at least 24 hours prior to the start of your freeze. 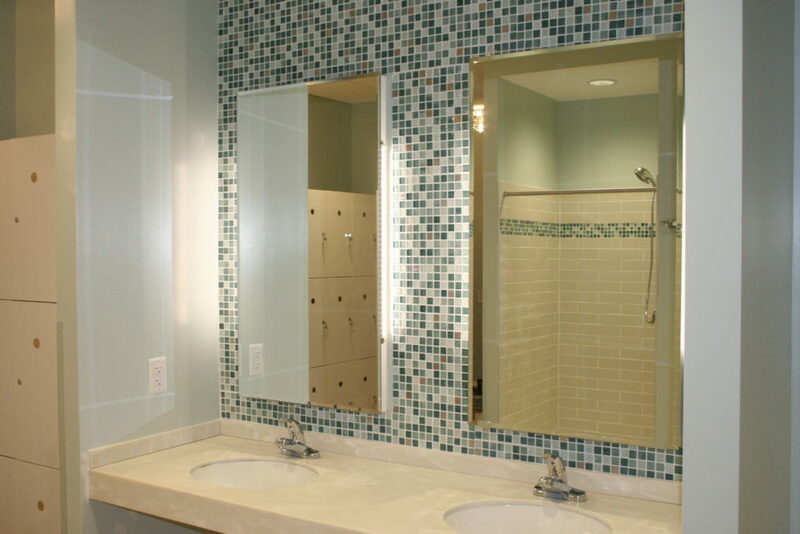 All classes are non-transferable and are only valid at The Bar Method Tysons Corner. All sales on Bar Method classes may be refunded within 7 days of purchase. Parking If you are attending a mid-day class, to save time we recommend parking along the hill on the west side of the parking garage. You can usually find parking there. Free parking is available in the open air lot or parking garage. Please avoid parking in any spaces with reserved signs 24 hours per day 7 days per week. You will be towed at your own expense if you do so. We are located in a white 5 story building with a large Arch in the front. Our studio has an exterior entrance at the southwestern corner of the building, next to Rodi Salon.